Enter the estimated property value, loan amount, loan period and repayment frequency in the top left section of the calculator. Are there any fees for terminating your existing loan? Is there a regular monthly fee for the loan? The interest rate for the new loan. Does the new loan have an introductory period with a different interest rate? Are there any fees for applying for the new loan? Is there a regular monthly fee for the new loan? Important Disclaimer: This is intended as a guide only. Details of terms and conditions, interest rates, fees and charges are available upon application. Mortgage House's prevailing credit criteria apply. We recommend you seek independent legal and financial advice before proceeding with any loan. * The interest rate shown on Toggle products is a blended rate comprised of 50% fixed interest rate and 50% variable interest rate. 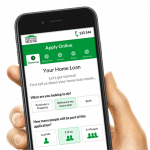 The Comparison Rate for each of the home loan products contained in this page is based on a loan of $150,000 over a 25 year term. Fees and charges may be payable. * This mortgage calculator shows indicative repayments based on 12/26/52 equal repayments for monthly/fortnightly/weekly options.